Implementing Lean Mfg. at random point processes does little to improve the bottom line financial metrics. You end up with islands of perfection surrounded by a sea of chaos. True lean enterprise focuses on the value stream from door-to-door and assures smooth flow of information and material all along the way. It does little to balance flow through an assembly process to only have finished goods build up waiting for paperwork from sales. 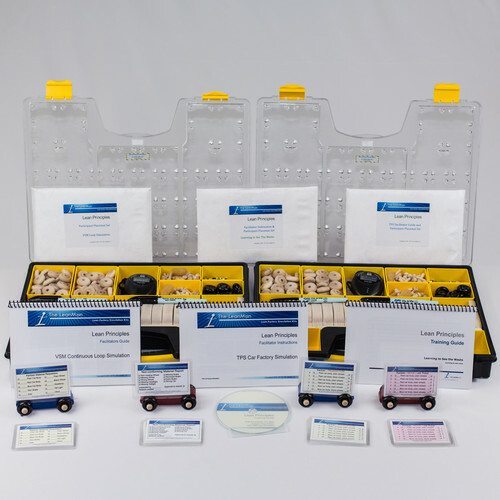 The nine VSM exercises simulate a complete value stream from customer to order entry to supplied material to production build and to delivery to the customer. As each point along the stream is improved, bottom line metrics keep the true impact visible. Only when the entire stream has been redesigned with true customer-demand pull are production velocity, quality and efficiency maximized and waste eliminated. The value stream map for each of the nine flow methods is provided, along with additional lean tools used during the lean redesign events. The series of events are designed to run for extended lengths of time, with materials flowing in a complete loop from raw materials through the production process and delivery and back to raw materials. Thus, the event can be used in extended training sessions where the facilitator can focus on each lean concept and have enough time to experiment with the various influences on flow, the use of kaizen and continuous improvement tools, and bring in additional concepts of Heijunka planning, supply chain and customer pull Kanban signal techniques, and inventory management. 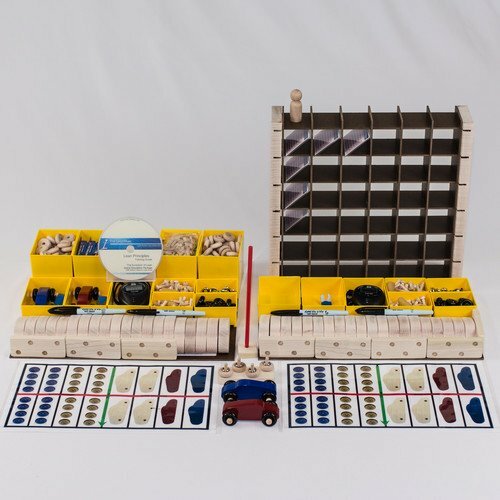 Please Note: The VSM Loop Car Factory Simulation exercise is part of the Deluxe-Plus VSM and Grand Packages. 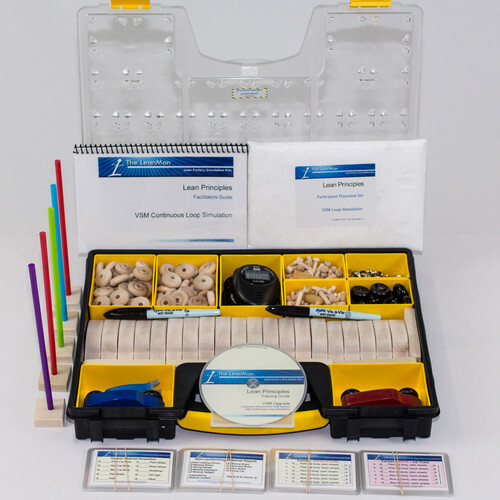 Upgrade any Deluxe Kit to explore the Value Stream Map simulation and learn how LEAN can be applied to maximize customer value and satisfaction.